Now that we've been here a year, I find myself dispensing tidbits of information to even newer olim. So I started to think, what if I were to write down all my tips, or as many as I can recall, and let others add to the list? These are things I had to learn, either the hard way, or from people who have been here longer than we have. As Ruti Mizrachi always says, "Don't thank me. I'm a giver." 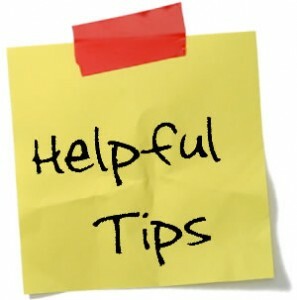 But please do use the comments section to add your helpful tips. Mostly, these appear in no particular order, though I've divided the tips into those that are generally true in Israel (especially in the Jerusalem area) and those that are specific to my community of Ma'ale Adumim. The thickest grocery brand of napkins is sano sushi. After a number of disappointing purchases of Nikol brand, we now always buy sano sushi white napkins in the double pack. Unlike table napkins, every brand of Shabbat toilet paper we've ever bought is pretty much the same quality, so it's fine to buy the cheapest one. We always buy Molett brand toilet paper and facial tissues. We find them the closest to what we are used to. Ironically, although economy size packaging hasn't really caught on in Israel, toilet paper is sold in giant packs. The one we always buy has 48 rolls. It took me months to figure out the trash bag situation. Trash cans are marked in liters and bags are marked in cm, so there's no natural match. Our 50 liter trash can is slightly smaller than a standard 13 gallon kitchen trash can in the US. The correct size bags are 75x90cm. We buy Nikol brand orange liners (though different brands may vary by a few cm). They are much thinner than what we were used to, but they do the job. If you're looking for an American grocery item, the most likely places in the Jerusalem area are CheaperKol on Kanfei Nesharim in Givat Shaul, SuperDeal in Talpiot (which also has excellent prices), Chofetz Chaim on Aggripas (butcher shop with American-style deli plus some grocery items) or the local makolet in a neighborhood where a lot of former Americans live. Meatland in Ra'anana is also a good source. It is possible to buy Philadelphia brand cream cheese here but it's very expensive. Tnuva Napoleon is the most like whipped American cream cheese. It comes in a few varieties in a 225 gram tub. The plain variety has a daisy on the package. this description doesn't help you, you'll have to ask a neighbor or a butcher for help. Rami Levi often sells whole chickens for a few shekels a kilo on Thursdays. My husband hasn't quite mastered cutting a whole chicken into 1/8s, but he's definitely got the wings and legs down. Some stores (Rami Levy for sure) have "shuk day" early in the week when selected vegetables are just 1 NIS/kilo. This is generally Tuesday and sometimes Wednesday. Many chain stores, especially grocery stores, offer their own cartis mo'adon. It's what we used to call a frequent shopper or bonus card. Some of them are free and give you access to in-store special prices. But some are actually credit cards which may be free for the first year, but then cost around 15 NIS a month. The first thing the cashier will ask you in a store that has one is, "Cartis mo'adon?" Credit cards in Israel are somewhat like a cross between an American credit card and a debit card. Your bank will give you a monthly credit limit. As you charge things throughout the month, your available balance is reduced by the amount you've charged. Then, once a month, your bank will deduct your credit card balance from your bank account and your available balance resets to zero. Israeli apartments don't have closets, so people buy free-standing aronot, which typically have hanging space, drawers and shelves. There are hundreds of different styles and a very wide range of prices. The best place we found, great variety and fair prices, is the Si Rahit furniture store, 15 Rechov HaTnufa in Talpiot. Talpiot is a Jerusalem neighborhood that has tons of furniture and housewares stores. Furniture styles in Israel tend to be very simple and many stores have very similar styles of couches, desks, aronot, etc. Unique items, imported from Europe for example, are available here, but only from very high-end merchants. AACI (Association of Americans and Canadians in Israel) was established in 1951. They have many services for English-speaking olim, but I particularly want to highlight their klita department for help and referrals for all kinds of bureaucratic problems and also their English language lending library. English books are definitely harder to find in Israel. For some people, Amazon's kindle or another eReader is their solution. There are used books stores in Israel that sell English books. Check out the ESRAbooks shop in Modi'in. There are also a few companies that ship English books to Israel without charging an arm and a leg in shipping. My two favorites are: Better World Books and The Book Depository, which offers free worldwide shipping. The best place we found to buy appliances is Salon Yerushalayim on Rechov Yafo right near the Machane Yehuda shuk. We always deal with Nir Moshe who speaks excellent English. Contact him at salonyam@bezeqint.net or cal 02-624-2535. To avoid mold, always leave the door to your front-loading washing machine open when not in use. eLuna is a great English website for reviews of restaurants all over Israel and also for 10% discount coupons. Easy Park is a small yellow device, sold in the post office, that allows you to preload money to use when parking in municipal lots all over Israel. If you don't have an Easy Park device, there are meters in some places, but more common are the kiosks at which you pay and get a paper ticket, with an expiration time, to put inside your front dash. Movie theaters in Israel show a lot of America movies, but it's wise to ask if there are subtitles because sometimes the films are dubbed into Hebrew. The Globus multiplex at Binyanei HaUma has the best popcorn and the Jerusalem Cinematheque shows the most eclectic films. The Jerusalem Film Festival happens every summer with hundreds of films from all over the world. There are lots of festivals in Jerusalem in the summer but a really mammoth one is Hutzot Hayotzer, the International Arts and Crafts Festival, that happens every August in Sultan's Pool across from the Old City. Dates in Israel are written in the European style: day/month/year. So 14-08-11 is August 14, 2011. And a range of dates, like 14-25/08 means August 14-25. It takes some getting used to. I tend to write dates like this: 14 Aug 2011 so it's clear to everyone. Women over the age of 60 and men over the age of 65 are entitled to half-price bus fare on Egged buses. There are recycling collection bins for plastic bottles, paper and old clothing. However, small beverage bottles (both plastic and glass) and wine bottles are each redeemable for cash (generally 25-30 agorot). The Blumberg family in Mitzpe Nevo collects these redeemable bottles and donates all the money to Ateret Cohanim. Their address and phone number is listed in the Mitzpe Nevo directory. The best pizza in Ma'ale Adumim is Pizza Roma - 02-590-0232. Pizza shops generally include a free 2 liter bottle of soda with every full-size pizza, in the store or delivered. Rami Levi stores distribute free calendars around Rosh Hashana time. The best one for accurate times in Mitzpe Nevo is published by Pnei Shmuel (The Down Shul). Purim time, both the Mitzpe Nevo and Klei Shir neighborhoods operate communal mishloach manot projects. You choose which neighbors you want to send mishloach manot to, pay a set fee per recipient and a team of volunteers designs, packs and delivers one package to each family. Each Purim package from Mitzpe Nevo also includes a neighborhood phone book. The proceeds go to tzedaka. On the night of Yom HaAtzma'ut, there is music, fireworks and carnival booths on the lawn behind Kikar Yahalom. Mimi Faran is a former American living in Klei Shir who does all kinds of sewing and repairs. Her work is fine quality and very reasonable priced. Contact me for her phone number. Frozen broccoli in the 800 gram package is one of the few items that are cheaper at Mr. Zol than at Rami Levi. There is a car wash on the very bottom level of the Ma'ale Adumim mall. If you live toward the top of Mitzpe Nevo, Egged's 175, 120, 124 and 126 stop just after the snail and it's a downhill walk from there. Not as close as the #174 will take you, but good to know in a pinch. The hofshi hodshi is Egged's monthly pass that allows unlimited bus travel between Ma'ale Adumim and Jerusalem and within Jerusalem. As of this writing, it costs 292 NIS. A one-way adult fare from Ma'ale Adumim to Jerusalem is 8.80 NIS. There is a discounted multiple ride ticket (cartisia) that is 35.20 NIS for 5 rides. Youth up to age 18 are entitled to a more deeply discounted cartisia. Graphos on the bottom level of the mall near Steimatzky's is a good place to make copies and send faxes. It's also a good place to buy Hebrew letter stickers for your computer keyboard. But be sure to buy them in a color that contrasts with your keys. There is an English language book swap and sale in Ma'ale Adumim twice a year. Used books are 5 or 10 NIS each and all the proceeds go to tzedaka. Annual car inspections can be done in Mishor Adumim. Disclaimer: This random collection of klita tips are all off the top of my head and, in many cases, reflect my family's idiosyncratic preferences. Some of them I figured out through trial and error, but a good portion of them I learned by asking olim who have been here longer than we have. This list was fun to compile but it's not meant to be comprehensive. Remember to post your klita tips in the comments section. Wow - if this was written after just one year of being here, I can't wait to see your magnum opus after 10 or 20 years of aliyah :-) Yashar koach! 1. A way of paying for parking that's much cooler than Easy Park is Pango http://english.4500.co.il - where you pay via your cell phone (and it even sends you a reminder when your parking time is ending). 2. You can buy thick white "Shabbat napkins" at Shigaon shel Shulchan in Givat Shaul and Big Deal on the midrachov (and probably other branches, too). These are also good places to buy ziploc bags and American plastic wrap, since the Israeli stuff doesn't really stick. 3. After all these years here, I can't figure out the point of paying for groceries in tashlumim. If you buy groceries every month, it means you're always paying, whether it's the whole sum of this month's bill, or tashlumim from the past few months. Obviously, large, one-time purchases are different. The tashlumim for groceries is really only helpful during Chaggim time, Rosh Hashanah and Pesach. At Mister Zol and I sure at other stores, you can get 6 payments during these times. The Makolet in Mitzpeh Nevo has tons of American products, but not American prices. For a treat or those days you just need a reminder, it can be great. Aldo ice cream store at top of Ben Yehuda and in the German Colony carry Dunkin donuts style donuts. Very good and year round. Also, the Brooklyn Bake Shop in Geula carries donuts, black n white cakes and cookies, American style cinnamon rolls. etc. Thanks Rivka, your writing style is fun. SuperSal Big [& other really large super markets] have a large selection of really cheap appliances. eg: I bought a 21 speed bike for 250nis, tire punctured the next day. [buy a pump and a tire repair kit] Note that unless you treat the Cheapness gently it will break & mostly not repairable. "sigh. OK, so to summarise: cheaperkol in givat shaul has a lot of really good american products, including paszkes kid treats, good prices on kedem, rokeah grape juice (we used it over the shmittah year for havdalah, etc. since we don't buy heter mechira, and can't overfill a cup of otzar beith din). Opposite cheaperkol is the "big deal," which has great napkins, thick, big, and prefolded, as well as rubbermaid, and great stationery stuff. MA is the best for independence day celebrations! and, finally, it is really important to find a balance between the "old country" culture and the sabra culture.... one does not actually have to lose one's manners.... and it is understood that here the kids live with their parents until they get married (and sometimes then some), and a lot of olim teens think that this is actually a good idea.... among other examples. nice blog, btw." As the days roll on, I think of more stuff. I've never been able to find ricotta cheese here, but I found, much to my surprise, that sour cream is a perfectly adequate substitute. In fact, we really can't even tell the difference, and sour cream is widely available here. Also, the bananas in Israel are different. They are more fragile and the difference in taste takes some getting used to. On the other hand, they may seem overripe on the outside and still be fine inside. I'm no agronomist, but they are definitely a different variety. Rami Levi carries ricotta cheese. It's made by Gad dairies (small container - probably 225 gr, dark blue cover with white writing and a picture of a Greek-fisherman-looking elderly man). It's called - wait for it - ricotta. They also sell a ricotta with red pepper flavoring. As for bananas, they differ according to the season. The winter ones are more normal than the summer ones, which are strange shapes and taste a bit different. Sometimes if you buy them green, they never get ripe, just hard, and you need to throw them out. Other times, they get overripe in a second (but if you have a blender, you can freeze them and use them in smoothies, which is wonderful). Another tip: Many people are aware that water is a precious commodity in Israel. Most washing cups have a large capacity, much more than is actually needed for ritual washing. Save water by not automatically filling the washing cup to the top. A great list of tips- could I re-blog your post?